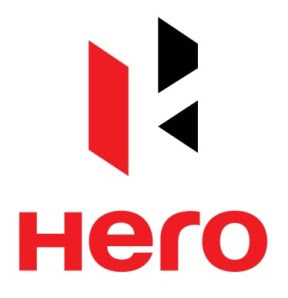 Hero MotoCorp Ltd (HMCL), the world’s largest two-wheeler manufacturer today announced record sales performance for the first quarter of the Financial Year (FY’18). Registering strong sales, the Company sold 18,49,375 units in first three months (April 2017 – June 2017) of this fiscal - the highest-ever sales by Hero MotoCorp in any quarter. The Company’s previous highest quarterly sales was in the second quarter (July-September) of FY16-17, when it sold 18.23 lakhs units. With sales of 624,185 two-wheelers in June 2017, the Company registered a growth of 14% over the corresponding month of the previous fiscal when it sold 549,533 units. Hero MotoCorp has clocked such robust volumes in the month of June on account of strong growth in both motorcycles and scooters. The Company sold 547,185 units of motorcycles during the month of June, thereby growing by 13% over the corresponding month last year. Hero MotoCorp sold 77,000scooters in June, registering a 22% growth over the corresponding month in 2016. Motorcycle segment volume growth was supported by the wedding season and the very successful in-market activations for Hero's portfolio of trusted brands including Glamour, Splendor, Passion, HF Deluxe and Achiever. Scooters have gained volumes driven by the very effective ‘360 degree’ Go-To-Market programmes along-with the introduction of new upgrades and refreshes earlier in the quarter. Hero MotoCorp has welcomed GST as a game-changing tax reform in the country. The Company has passed on the benefit of GST to its customers with a reduction in the prices of models across its product portfolio in most of the states w.e.f. July 1, 2017. The quantum of reduction ranges from Rs 400 to Rs 1800 on mass-selling models. The actual benefit varies from state to state, depending on the pre and post-GST rates. Some of the premium segment models see a reduction of up to Rs 4000 in certain markets. In one or two states, such as Haryana, where the pre-GST rates were lower than the post-GST rate, the prices of a few models have gone up marginally.